Jet Airways reported a massive 91 per cent plunge in standalone net profit at Rs 49.63 crore in the quarter to September. Mumbai: Second largest airline by revenue Jet Airways plans to induct 25 narrow-body planes into its fleet over the next three years even as it is yet to take a call on the delivery schedule of the Boeing 787 planes. The Naresh Goyal-owned carrier, in which Gulf carrier Etihad holds 24 per cent strategic stake, has 10 Boeing 787s on order, which were to be delivered from this year. 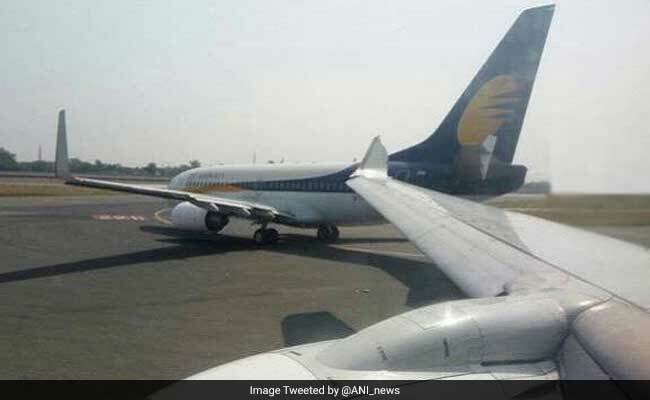 "As per our plan, we want to induct in the next three years, from the next fiscal onwards, almost 25 narrow-body planes into our fleet," Jet Airways chief financial officer and deputy chief executive Amit Agarwal said told analysts in a post-earnings concall today. A massive over 56 per cent fall in the other income and higher expenses saw Jet yesterday reporting a massive 91 per cent plunge in standalone net profit at Rs 49.63 crore in the quarter to September. The carrier had posted a net profit of Rs 549.02 crore in the same period last fiscal. Agarwal also said the airline has already taken three Boeing 737s on lease as part of its plan to induct eight similar aircraft into the fleet this fiscal and the remaining five will be inducted by next March. "We are currently evaluating the whole wide-body long-haul network. Depending on that we will finalise the delivery schedule of the Boeing 787s," Agarwal said. The Mumbai-based full-service carrier currently has 18 wide-body or twin-aisle planes, of which 10 are Boeing 777s and the rest are Airbus 330s. Wide-body planes are used in long haul operations. The airline also uses some of these planes in domestic operations. Agarwal also said that Boeing, the US aircraft maker, will start it delivering the single-aisle Max 777-8s from next fiscal. It had made an order for 75 Max 777-8s in 2015. He said the airline reduced its net debt to the tune of Rs 194 crore in the September quarter, adding, net debt stood at Rs 7,884 crore as of end September. Agarwal said since the airline has decided to only go for sale-and-lease back mode for aircraft acquisition in the future, he expects the cash-flow to help it reduce the debt further. Agarwal,however, did not say whether the airline has any specific timeline or target for phasing out debt in the medium term. Following the poor set of numbers announced late last evening, the Jet Airways counter tanked 4.5 per cent at Rs 665.60 on the BSE, whose benchmark Sensex rallied 0.95 per cent or 301 points today.